Autumnal hints ! 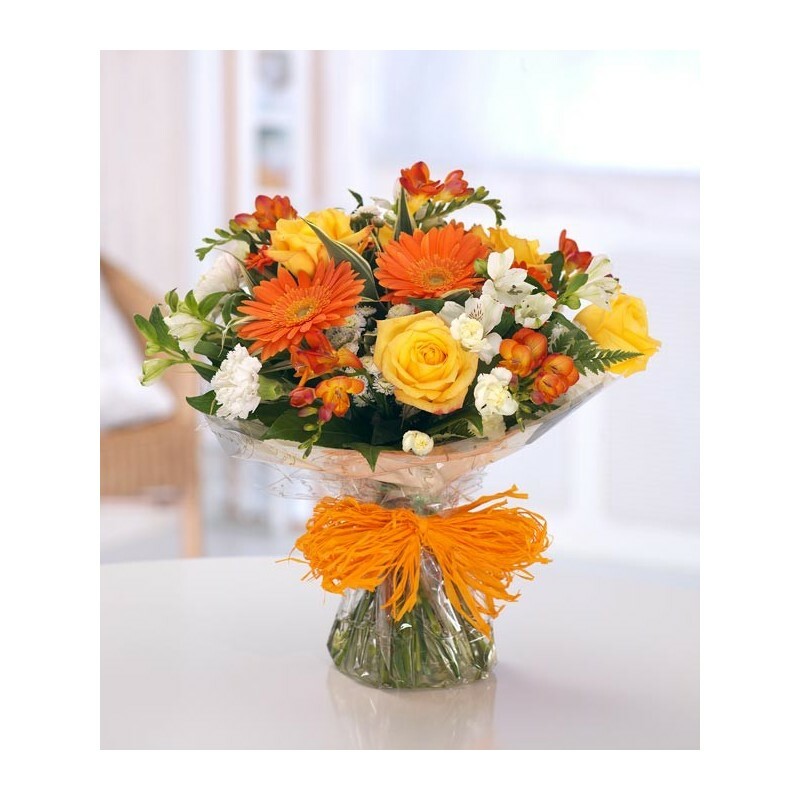 Hand-tied bouquet with mixed orange and white flowers including Roses, Gerbera, Freesias, Carnations, Gerbera, Chrysanthemums and Alstromeria. 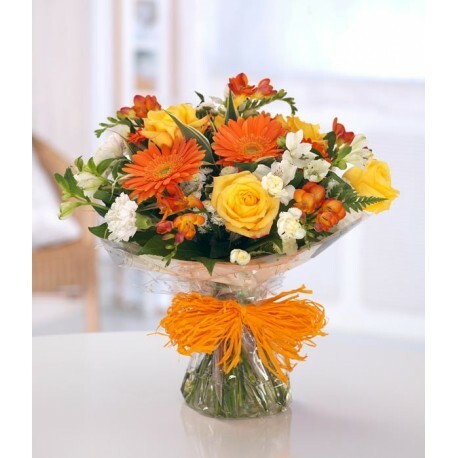 Beautifully packaged in an aquapack for instant display.